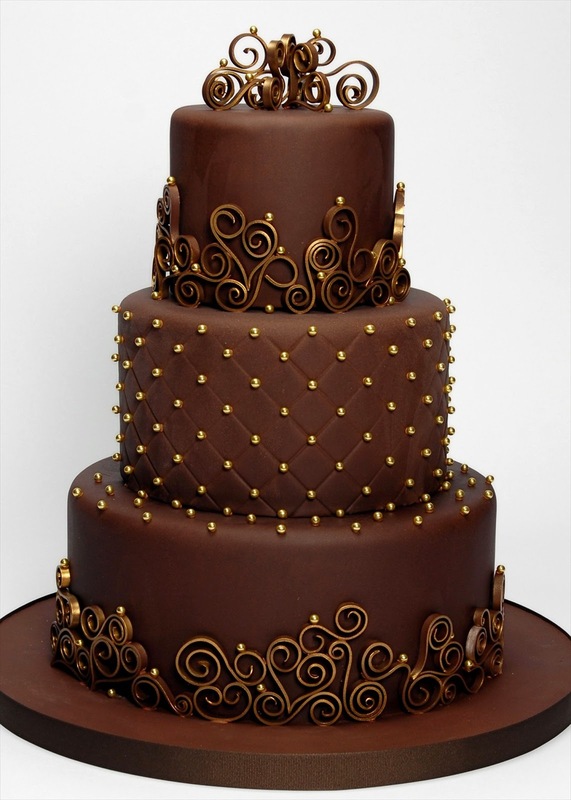 Chocolate lovers who are getting married can now have their cake and it eat too. The traditional wedding cake was like the fruit cake you get during the holidays. It was popular because it lasts for a long time. Fortunately, the tradition moved away from the fruit cake and towards the white multi-layered cake. 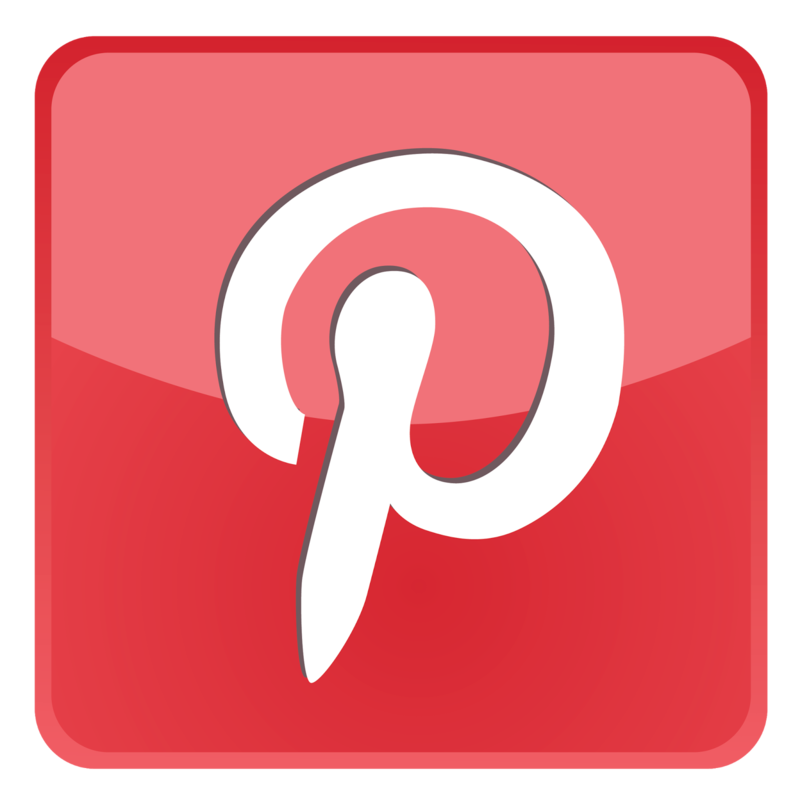 Nowadays, weddings are moving towards individuality rather than keeping tradition. The wedding dress is still white; but the design is largely reflective of the bride's personality. 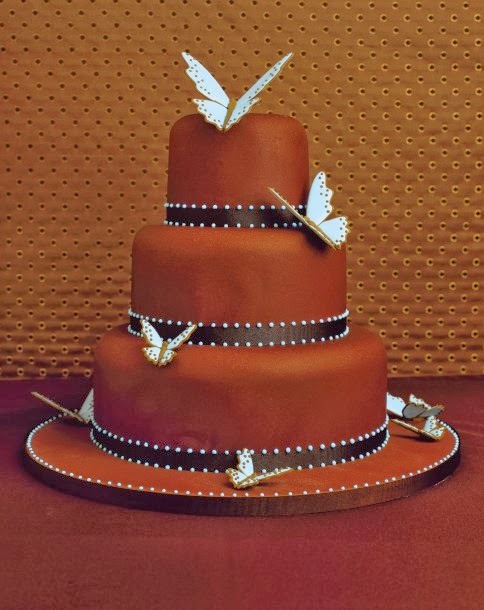 The wedding cake is still an essential; but the design - the color, the style and the flavor, is becoming more and more personalized to represent the couple. 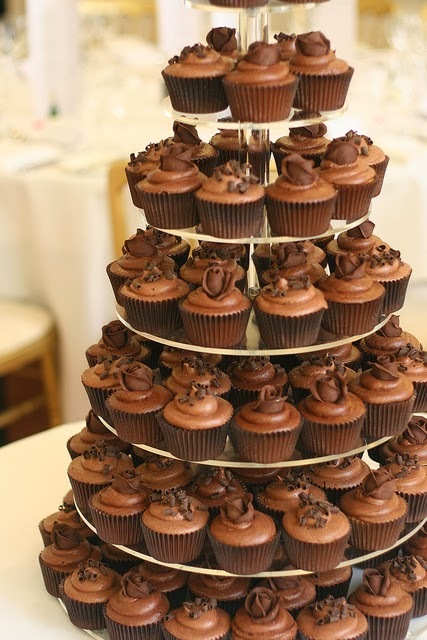 So nowadays, it is not such a surprise anymore to see chocolate wedding cakes at receptions. Whatever cake the couple decides to serve their guests, one thing remains constant: there will be a cake. Traditions over the centuries have changed, thankfully; but the symbolism remains the same: fertility and happiness. Brides today have it easier than brides that came before them. There was a tradition that survived until the 19th century of breaking the cake over the bride's head. The guests would gather the crumbs that fell to the floor for good luck. There were other traditions; but what the modern bride needs to concern herself with is the ceremony where the bride and groom feed each other cake. That and serving good cake at pains of the guests remembering that the couple served bad cake on their wedding. 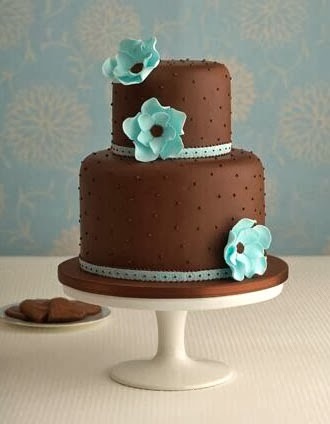 Getting the right fillings and icing is an essential part of designing a wedding cake. 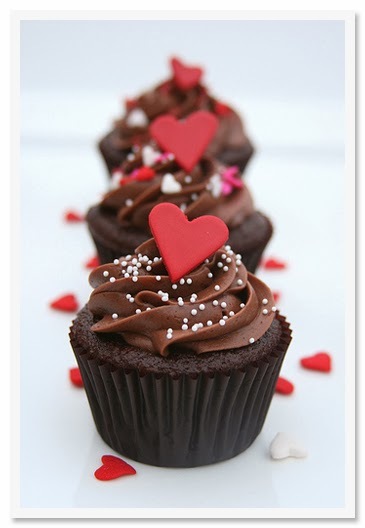 Fillings can be buttercream, custard and pastry cream, fruit, mousse, or ganache. 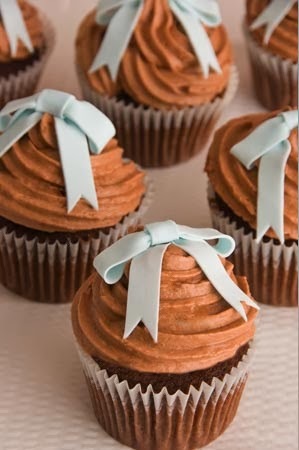 Icing can be buttercream, marzipan, fondant, chocolate fondant, or royal icing. There really are many possible combinations. 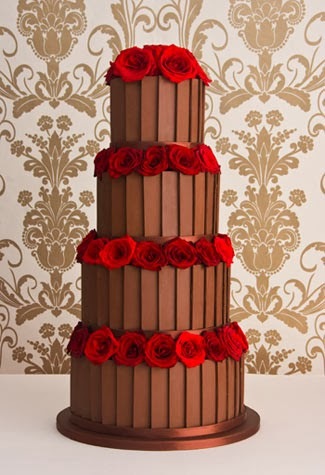 Fortunately, there are bakers, now called cake designers, who can help with this, especially to know what works or not for chocolate wedding cakes. But before you go to a baker, you must at least have some idea of what you want. Before going to bakers, it is a good practice to ask for an appointment. That way they can prepare for you. They usually have their own look books, and possibly taste testing even on the first meeting. Finding the right baker is just as crucial as having the perfect wedding cake design. 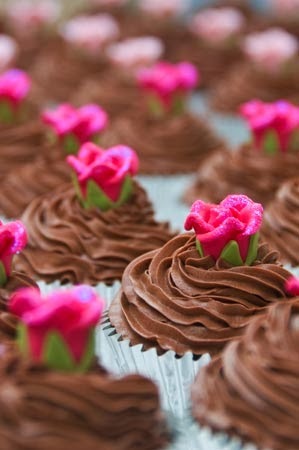 After all, it is the baker who executes the design. Cakes should be ordered well in advance. Wedding cakes aren't made overnight. They need meticulous preparations. It would be safe to order at least six months before the wedding. 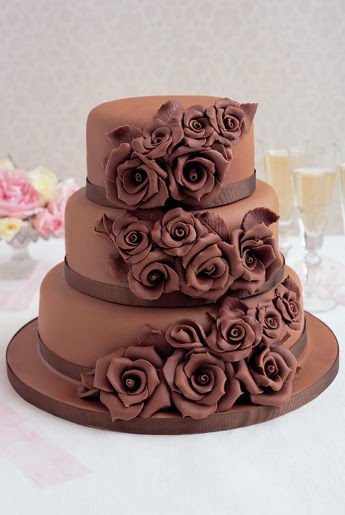 Needless to say, if you want chocolate, you have to find a baker that does chocolate wedding cakes well. In designing the cake, remember that it will be sitting at the reception for a long time. So the icing, filling, and the cake itself should be suitable for the climate and weather of the location of the reception. To make the cake ceremony more eventful, some humoring couples give each other really huge pieces of the cake, so that neither can smile properly after. But the guests are well entertained. Who said wedding photos all have to be serious. To add an even wackier twist, if the cake is chocolate, the couple smile for the camera with teeth covered in chocolate.